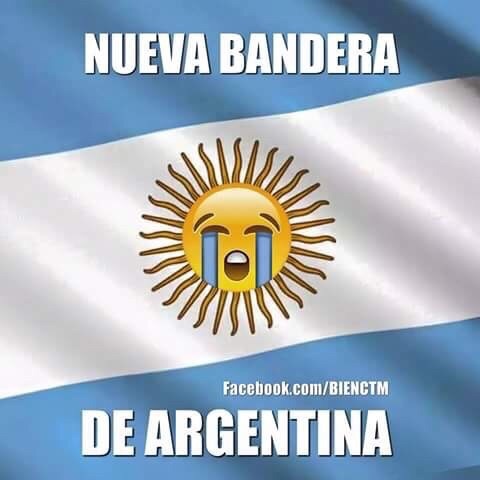 Chile: Copa América 2015 Champions! 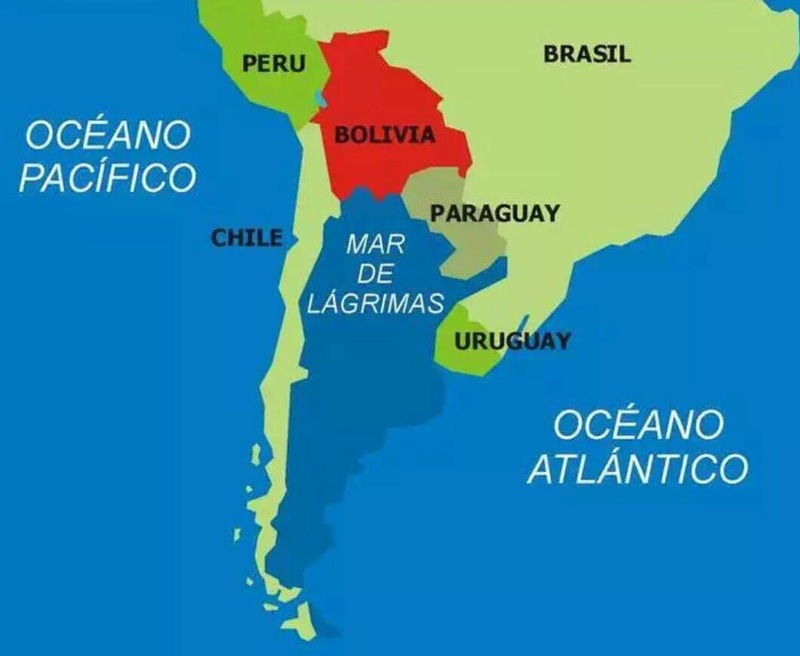 After over a month of football frenzy from everyone in the country, the final of the Copa América last Saturday crowned Chile as the champions of South America! The final against Argentina was a close one, with extra time AND penalties to decide the winner. The match ended after 90 minutes in a draw, 0-0, and no champion to crown. After a short break they played for another 30 minutes in the hope that somebody would score, but no luck, it was still 0-0. So there was only one thing left to do – the penalty shoot-out. AND CHILE WON! Time for everyone to go crazy and celebrate the win. I’ve already mentioned that I’m not really much of a football fan, and I was reminded yet again during the final why. One of the reasons I don’t like the game is that when a competition ends in a draw, with no team being better than the other, it seems like a bit of a cop-out to end in a penalty shoot-out. It’s like the whole previous 90 minutes is cancelled out, because that wasn’t good enough of a game to decide a winner. So each team gets 5 shots at the goal, with only a goalie to stop them – a completely different set of skills to getting past a whole team if you ask me. And so in the case of the Copa América, for the whole tournament to end in a penalty shoot-out, even after extra time, it seems a bit… well… like what was the point in that huge competition when all it came down to was the kick of 5 players and someone’s ability to defend his goal? I’m VERY happy that Chile won, but it’s just a shame that it was on penalties and not the actually game that they went there to play. Here’s a video that Susan got, just to give you an idea of how crazy it was in the centre! After some celebration I headed home where the TV was put on to see what the rest of the country was doing. Pretty much exactly the same as in Punta Arenas, but in Santiago they got the chance to see the players as they went on a little tour and headed over to the president’s house to say hello. I probably should’ve gone out to a party afterwards, but the plaza was enough celebrating for me and I wasn’t in much of a let’s-stay-out-until-stupid-o’clock mood. 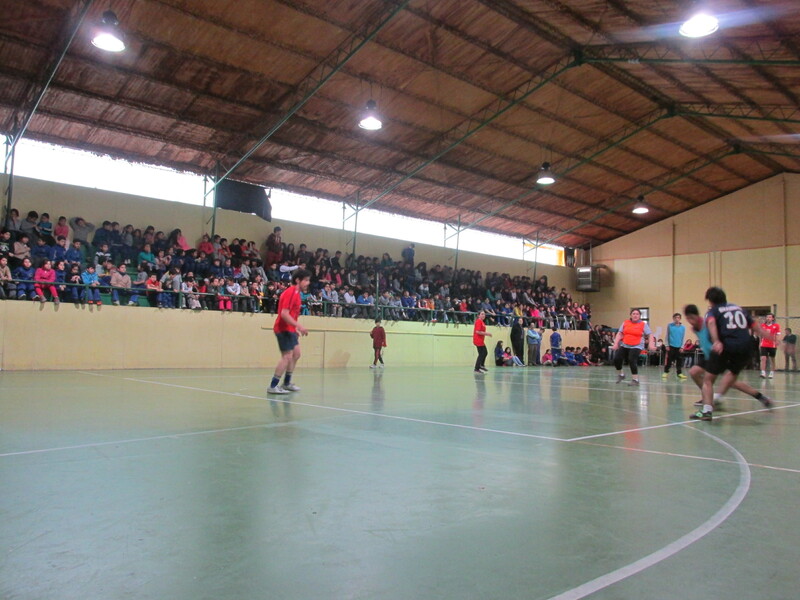 In the run-up to the final of the Copa América the school has been having a football tournament of their own, with different classes competing against each other throughout the week. As part of the tournament they also had a teachers vs. students game which I was invited to play on! Most of the students were cheering the student team, but adorably the infants of the school (<8) were all cheering the teachers side. 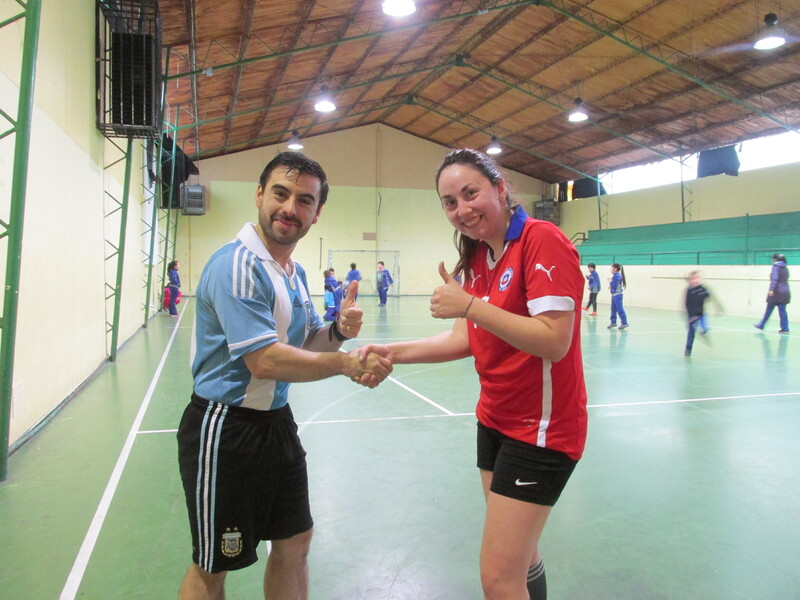 The Argentinian and Chilean are on the same side today… Go Teachers! Now I know I’ve been giving women’s football a go, but I am still absolutely terrible at the game, and I was probably more of a hindrance than a help. Despite this the teacher’s won 8-3! Even if I didn’t do particularly well, I’m glad all of the students watching got to see me attempt something that I’m pretty bad at. I gave it a go and did my best, even if I couldn’t kick the ball in the right direction. I hope this showed them that I’m willing to try something new (and be bad at it), which might give them a bit more confidence to try new things, and maybe they’ll have the confidence to speak a bit more in my English lessons! 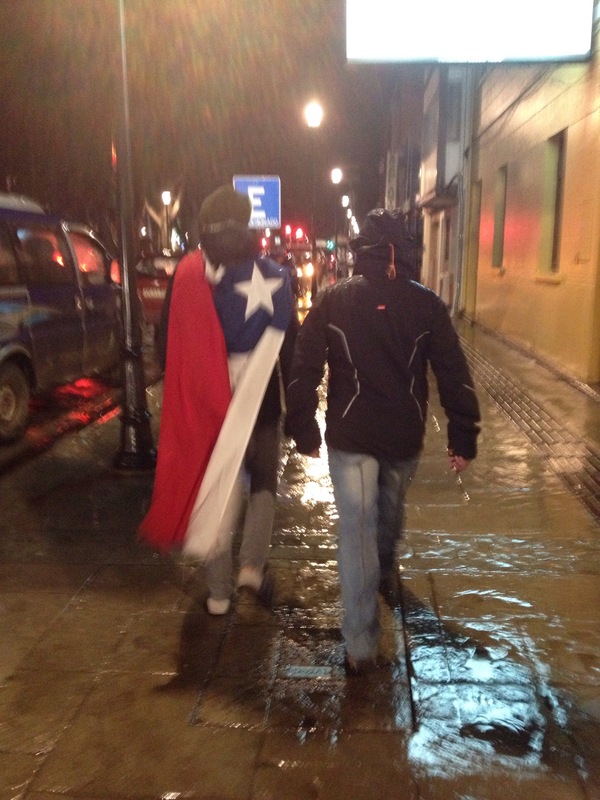 Another hilarious event in the run-up to the evening of the game that would decide if Chile got to the final. My host Crisitian was watching the Chile vs Peru game over the internet… which was about a minute behind the live TV broadcast. I didn’t bother watching the game but always knew if Chile got a goal. I would hear the next door neighbours shout GOOOOOOOOOOL, as everyone (including the commentators!) do when a goal is scored. I’d ask Cristian, “Did Chile just score?” and he’d sound confused and say “Noooo”. I’d go back to what I was doing, and then around a minute later I’d hear another GOOOOOOOOL from Cristian! This happened multiple times throughout the game, and so from my perspective it sounded like Chile were getting twice as many goals!